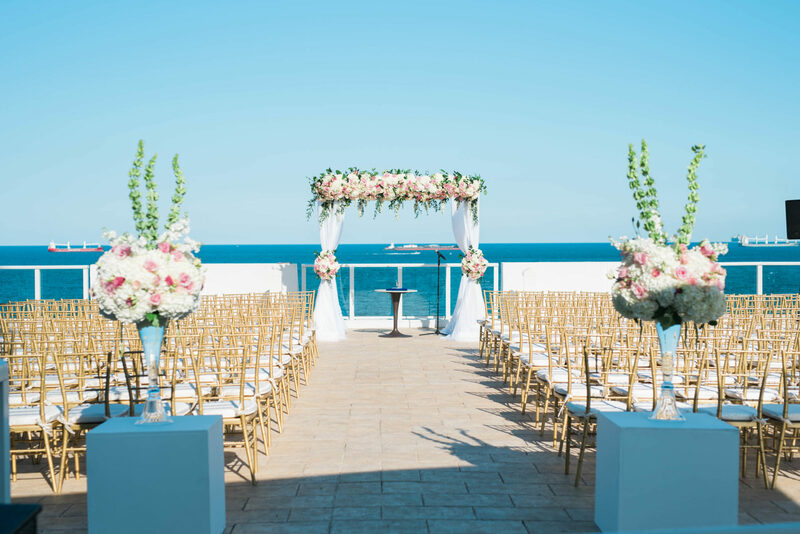 It’s safe to say we love an outdoor wedding, whether its directly on the sand or on a roof top with ocean views. 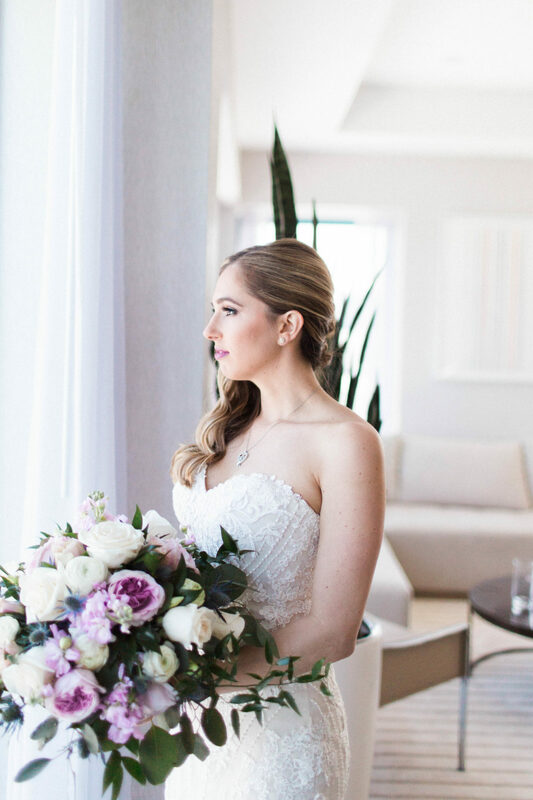 This beautiful Conrad Fort Lauderdale wedding was held on the roof top balcony, which offered breathtaking ocean views. Our couple wanted to make sure the ceremony décor didn’t distract from the views, so we were sure to keep this in mind while creating the floral designs. The ceremony started right before sunset providing the perfect lighting to highlight the wedding colors. Our bride chose a light color palette of whites, blushes, and touches of greenery. We constructed a chuppah featuring an arrangement of lisianthus, hydrangea, roses, ranunculus, and italian ruscus to add a lovely texture and compliment the colors. The bride and her bridesmaids also carried free flowing bouquets of silver dollar eucalyptus, accented with flowers matching the chuppah. 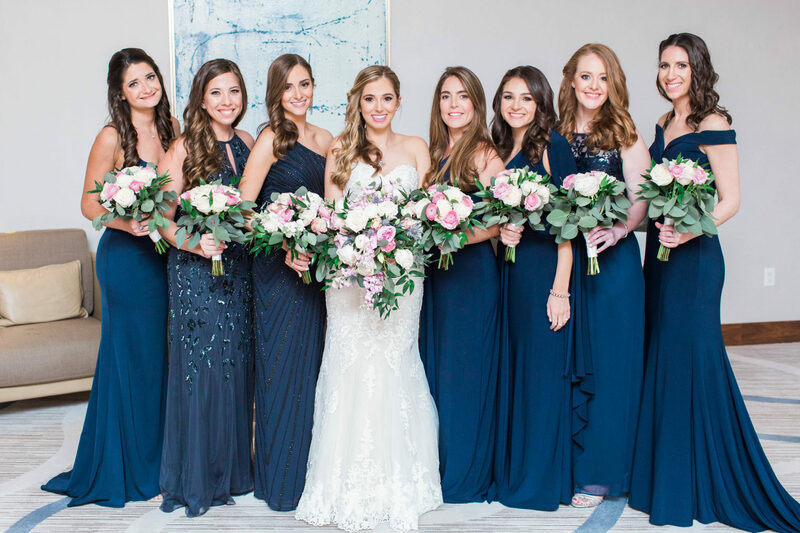 The texture and color of the bouquets coordinated perfectly with the beautiful navy blue dresses worn by the bridal party. The groom and his groomsmen were quite dapper in black tuxedos. We created a boutonniere for the groom using white ranunculus and accents of italian ruscus. The groomsmen wore a boutonniere constructed of blush ranunculus and accents of greenery. For the reception we added more depth and height to the centerpieces. We used flowers coordinating with the chuppah, and added towering bells of ireland to the arrangements. This was a great touch aesthically, and we also gave a subtle acknowledgement to the fact that it was St.Patrick’s Day. 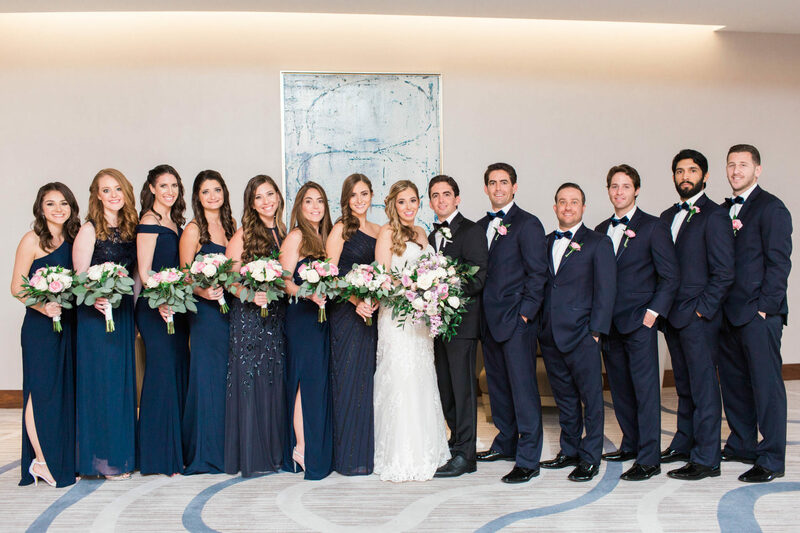 A Conrad Fort Lauderdale wedding is a great choice for ocean views and a sleek modern ballroom with lovely neutral colors. 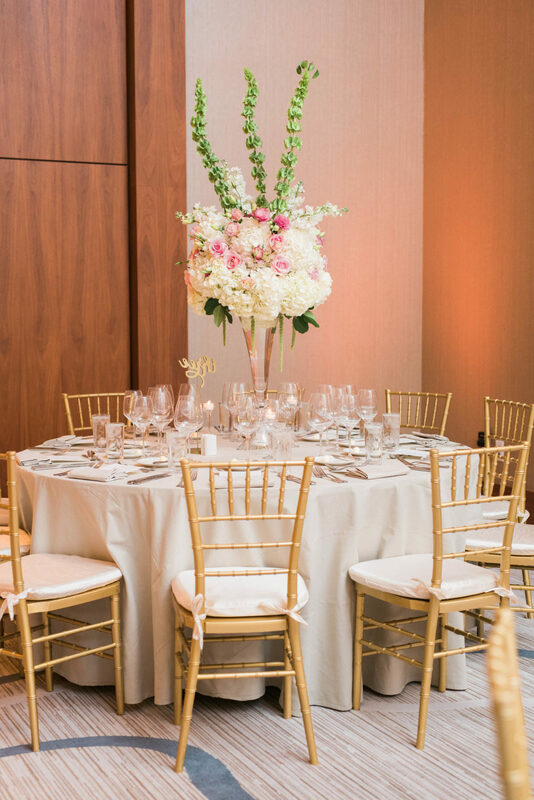 The hotel provides the perfect backdrop for a classic yet modern wedding.